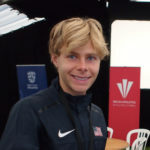 Tayte Pollmann’s Tuesday Trail Tips series of articles are supported by American Trail Running Association corporate member Nike Trail Running. Tayte finished 7th at last Saturday’s Speedgoat 50k race. 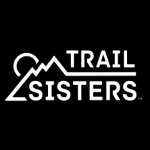 I raced the Speedgoat 50K in my hometown of Salt Lake City, Utah this past weekend and preparing for the race raised an important question: how does one prepare for a race during the preceding week? Celebrate! By race week, the hardest parts of the training are over, and it’s time to fine tune your body to perform the best on race day. It’s key to stay positive and remember, you’ve put in the hard work in training to get to this point. Here are a few tips I practice before the big race to make sure I’m ready to go, go, go. I’m a green-eating machine. I get many minerals and vitamins my body needs from eating kale, spinach, broccoli and other veggies on a regular basis. I grew up watching VeggieTales and I memorized its amazingly catchy theme song, which I suspect may have had a positive impact on my training nutrition. I suggest making sure these greens make it into your lasagne, rice, sandwiches, or whatever else you use to fuel and you will feel the great benefits of greens. Also, during race week, I take extra care to increase my vitamin C and magnesium. Both of these help in recovery and loosening up tight muscles from the hard training in the weeks before the race. Plus, magnesium is in chocolate, so that just makes me happy! Lastly with regards to nutrition for the ultra distance races, it’s important to maximize your carbohydrate stores. One belief is that eating a pile of pasta bigger than the hills in your race will fill your carbohydrate storage and supply the energy you need. Although I love seeing a perfect plethora of pasta, I prefer upping the carbohydrates over the course of the two days leading up to the race. For example, with the Speedgoat on Saturday, I add in extra carbs to each meal on Thursday and Friday. I’ve learned that it is difficult for the body to completely fill its carb storage in one sitting and the two days of bigger plates is much more effective. I’ve never been a fan of too much tapering because I think it can make my body feel flat on race day. But there are definitely benefits to resting more and lowering the mileage on race week. It’s important to figure out to what extent of tapering your own body prefers. From my experience, I like to keep my training week mostly normal with a 10-15% decrease in mileage during the first few days of the week. I also avoid hard or long workouts, but I do include tempos, hill sprints and strides during race week. Also, in the two days before the race I will usually take both days very easy, somewhere around 30 minutes of light running to let my body fully recover. This last tip helps me mentally to beat the pre-race nerves. 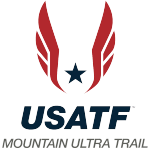 For example, I remember when I raced my first marathon in 2015–the Moab Trail Marathon. I’d never raced anything as long as a marathon before, but I overcame my worries about being able to race this new distance by trusting in my training. During the months before the marathon, I had been running 90-mile weeks and had been crushing 16-mile long runs every Sunday with the Portland Pilots cross country team on the hilly Forest Park trails. I remember racing the marathon with confidence, because I knew I was training well and that my race effort would reflect this. I felt mentally tough the whole race and I ended up on the podium in third place.